Valacyclovir, an oral drug commonly used to control the virus that causes genital herpes, appears to reduce the levels of HIV in persons who do not have genital herpes, according to a study by researchers from the National Institutes of Health, Emory University, Case Western Reserve University and the Civic Association of Health and Education in Lima, Peru. The study is the first to show that the drug does not require the presence of herpes simplex virus 2 (HSV-2) to suppress HIV in patients. 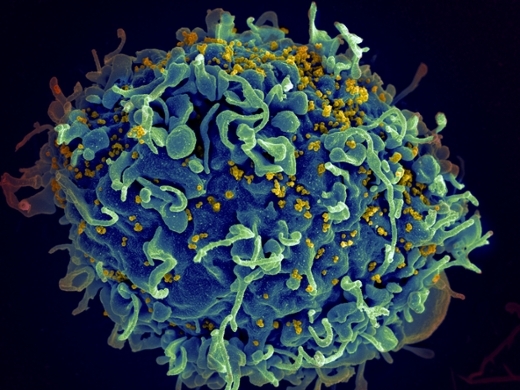 The research shows that the drug probably reduces HIV levels by interfering with HIV's reproductive machinery. "This study builds on our earlier published work on the impact of acyclovir on HIV-1. Because of the success of this study, the group plans to conduct larger, randomized trials with the hope that valacylovir can eventually be added to the drug cocktail used to treat HIV," says Raymond F. Schinazi, PhD, DSc, a senior author of the study. Schinazi is Frances Winship Walters Professor of Pediatrics in Emory University School of Medicine; senior research career scientist at the Atlanta Veterans Affairs Medical Center; and a member of the Emory Center for AIDS Research (CFAR). The study was supported by Emory's CFAR as well as the NIH's Bench to Bedside Program, which funds research teams seeking to translate basic scientific findings into medical practice.